Written by Dinesh Shetty, a mobile security expert and Mobile Center of Excellence lead, this guide is a product of the research performed at Security Innovation’s Center of Excellence. It provides hackers, developers and managers alike with an in-depth knowledge about the different kinds of iOS hacking tools and techniques. Setting up a device is one of the first priorities before starting a scheduled project. If setting up an iOS device for the first time, it’s likely that something may break (even if the device is one that has been used previously), so it’s best to test the device a couple of days before the pentest begins to ensure that the tools in it still work. Once you are ready to begin setting up the device, we enourage you to use this step-by-step guide as a resource for your hacking. 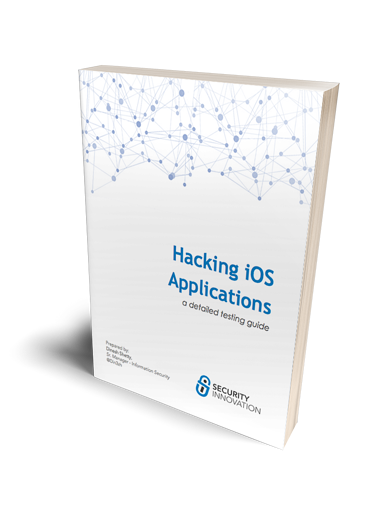 Learn more about hacking iOS Applications by downloading your copy today.